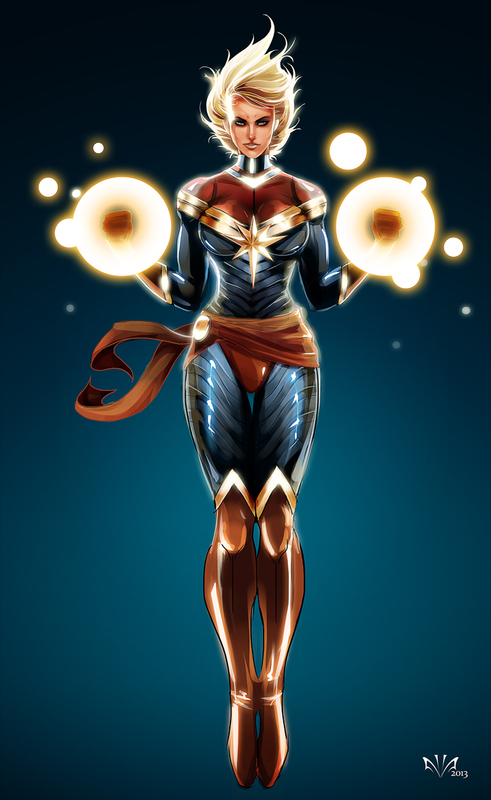 Marvel is working on the Captain Marvel movie to be released on July 6th 2018, Rather than using the original Mar Vell male version of the character they will go directly into the female version, Carol Danvers. Curiously, DC is also making a Shazam film whose history also ties into this question. Check out these cool Captain Marvel products direct from Amazon to get ready for the film! DC is out there building up their brands as well. While DC seems behind in building a unified film universe there TV universe seems much more complete than Marvel's. DC has Arrow, Flash, Constantine, and also....Super Girl. The name of Super Girl's alter ego is Kara Zor-El aka Linda Danvers. Wait a second....Danvers? So we have Captain Marvel at Marvel with the last name of Danvers. We have Supergirl with the last name of Danvers at DC. What the heck? How did two of the biggest super females end up with the same last name? This funny situation was brought to my attention by astute reader Lacey Kornicki who wondered if the companies were playing games with the TV series and Movies. The truth is that I was fuzzy on my Supergirl history and had to read up on it. What I found was that this silly situation goes all the way back to the 1960s, well really if you want to be entirely accurate it goes all the way back to the 1940s. Yes, these comic companies have been poking at each other for a long, long time. The original Captain Marvel was not a Marvel character. Actually, the Captain Marvel character predates Marvel's big entrance into the super hero genre Fantastic 4 #1 by 22 years. Captain Marvel was created by a comic company called Fawcet in 1939. Fantastic Four #1 did not come out until 1961. This original Captain Marvel character is now known by the name Shazam. In his heyday through the 1940s he was the most popular Super hero character, even more popular than Superman. He was so popular that the Publisher Fawcet created a whole super Marvel family to go along with him. Then in 1953 in part due to a lawsuit from DC Fawcet stopped printing Captain Marvel. The DC lawsuit alleged that Captain Marvel was a copy of Superman. Without Fawcet publishing Captain Marvel there was no one to publish any books with the name Captain Marvel for almost 14 years. Something interesting happens around 1961 and that is the small publisher of western, horror, and romance comics Marvel beginning to print Super Hero comics. A previously unknown man by the name of Stan Lee begins to reinvent the super hero genre and build Marvel into a powerhouse. Suddenly, DC has a new competitor that is beating them in sales and for the first time they find themselves unable to buy up a competitor or legally thwart them. As Marvel builds itself into a super hero juggernaut, the writers there realize that no one is using the Captain Marvel name. Not wanting anyone to use characters that have the same name as the publisher Marvel acquires the license and in 1967 prints the first Captain Marvel book. Marvel must periodically print beneath the name of Captain Marvel to keep the license active, something they have been very devout about doing since 1967.
Who is Marvel's Captain Marvel? His name is Mar Vell he is an alien, with super strength and can fly. In essence he is very similar to DC's Superman, and the original Fawcett Captain Marvel character. He is not very original at first but he allows Marvel to keep the name. Overtime Captain Marvel would be developed by writers into a much more cosmic facing character with his own struggles and personality that set him farther apart from Superman and Shazam. DC played around with the idea of a female Superman for quite awhile. Eventually, they created an official Supergirl in 1959 with Kara Zor-El who would be adopted by the Danvers family. She would assume her adopted family's name as part of her secret identity and go by Kara Danvers. 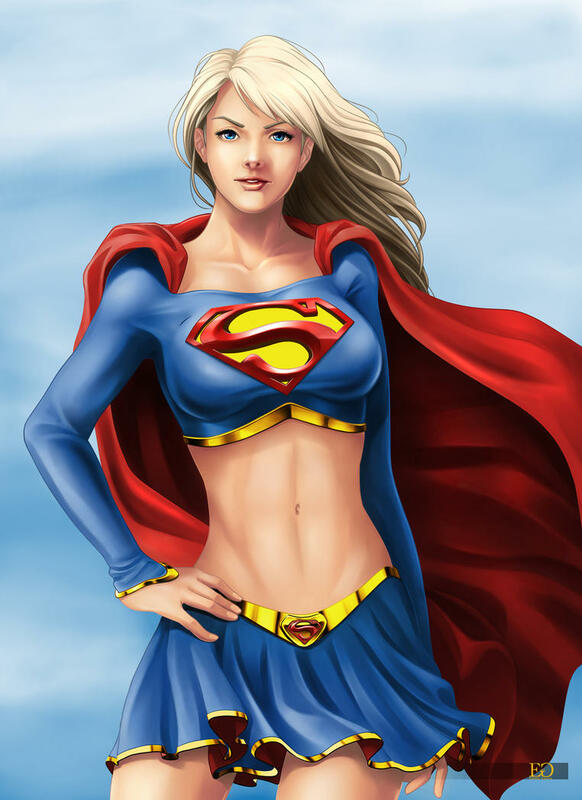 Supergirl is pretty much an exact clone of her cousin Superman, but female. She has been criticized for this and even killed off by DC at one point because they thought all she did was take away from the uniqueness of Superman's mythos. 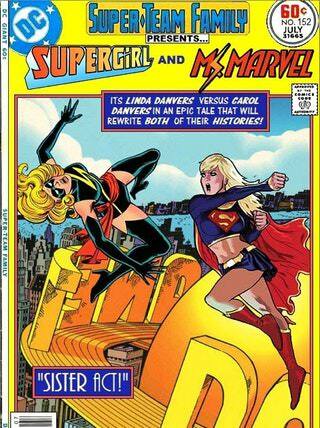 In her absence though, DC ended up creating new Supergirls like Linda Danvers. Supergirl continued to be popular whether or not the idea was original or not. Eventually, they decided to simply bring back Kara. Carol Danvers appears in 1968 as an airforce officer without any super powers. Her name may have been chosen as an homage to Supergirl. At the time it was likely not a big deal because she had no super powers. 9 years later this changes when Carol becomes Ms Marvel. Ms Marvel is created in part to simply control another name with word Marvel in it. The idea was also to have a character be a symbol for the modern woman's quest for identity. At the time of her origin female comic fans debated whether she was a strong female character or not. 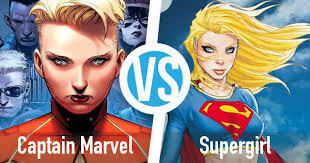 The main problem being that her hero form was a copy of Captain Marvel, and her secret identity Carol Danvers was a copy of Supergirl. In some sense Carol is a copy of a copy of a copy. Why would Marvel use the name Danvers? I don't know. It could have been lazy. It could have been meant to show that this is Marvel's Supergirl. It might have been meant to poke fun at their competitor. What is known is that they did it. While Ms Marvel's origin is not the most original, she has become a major symbol of female power in the way Wonder Woman has for DC. Her status was cemented when she took on mantle of Captain Marvel in July 2012 in Captain Marvel #1.
Who is Carol Danvers / Captain Marvel? Carol Danvers Greg Horn covers! Excellent, Captain Marvel is very superior to Supergirl and Shazam. Sorry for Kara Zor-El and Billy Batson, Carol is the other nivel.